Whether you're purchasing your regular spa treatments or want a pampered day of relaxation and rejuvenation, CareCredit makes it easier to feel better than ever. With CareCredit, you can purchase that new spa treatment you've been wanting, purchase more treatments using a same-day package, or simply return for your favorite spa services more frequently. 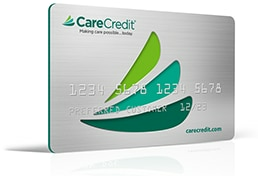 * The CareCredit credit card can be used at over 200,000 enrolled health, wellness and beauty providers and select retail locations, including day spas. Spa time can now be anytime. Never underestimate the power of some valuable spa time. Use your CareCredit credit card to finance the cost of day spa treatments and services, to feel rejuvenated and refreshed.